BDSwiss a scam or legit online binary options broker? What makes BDSwiss stand out? What are the downsides of BDSwiss? Should you open a trading account with BDSwiss? BDSwiss is a subsidiary of the BDSwiss holding PLC which was founded in 2012. This online binary options broker is regulated by the Cyprus Securities and Exchange Commission (Cy SEC) and holds license number 199/3. It’s a Cyprus based company whose registered address is 23, Spyrou Kyprianou Avenue. Their main office is on the third floor of the Protopapas Building in Limassol Cyprus. The broker also has a contact address in Frankfurt, Germany although this is for receiving mail only. Other than CySEC BDSwiss is also registered with the US National Features Association (NFA). This however doesn’t mean that the NFA actually regulates the broker. The company therefore doesn’t offer its services to traders from the US and Canada. In December 2016, BDSwiss became authorized and regulated as an investment dealer by the Financial Securities Commission (FSC). BDSwiss is fully regulated by CySEC, one of the best known financial regulators in the world today. Although founded in 2012 and considered one of the fairly new brokers in the industry, BDSwiss has built a reputation for being a reliable and transparent broker. In 2015, BDSwiss received the “Most Reliable Broker” award, an honor bestowed by fellow brokers around the world. Being registered with the NFA is another indicator that BDSwiss is not a scam broker and worth investing with them. One of things that make BDSwiss stand out is that it’s regulated by CySEC as well as registered with the NFA. The website has undergone some transformation recently. Besides the good old binary options, BDSwiss has also included FX/CFD trading modules (which seems like their main focus). However, traders can buy and sell binary options as well as FX/CFDs from a single account. The website makeover was good. However, it still needs some tweaking to make it easier to use. The broker also charges withdrawal fees which we found cuts into your earnings. However, the fee is quite fair compared to the cut many competing brokers take from trader earnings. Many online binary options brokers are seeking to be registered with recognized regulators. This earns them the trust of would be traders looking to invest their money. As a trader, investing your money with a regulated broker gives you peace of mind that your funds are insured and you can get compensated in case the broker goes under. 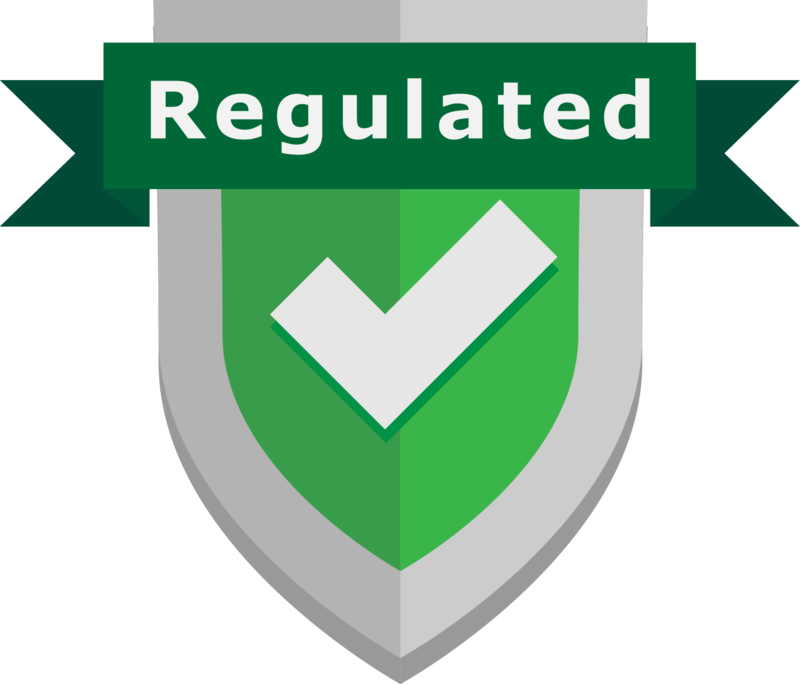 However, being regulated isn’t all that you should look for in a broker. BDSwiss has made huge strides towards ensuring that traders can easily use their platform to make money. The website includes a courses section which contains learning resources you can use to know how to trade. The learning resources are well presented and you can actually mark a lesson as complete. The learning resources also include webinars which allow you to learn from professional traders as well as remain in the loop about what’s happening in the financial markets. You also have access to a variety of charts and indicators right from your account interface making it easy to keep track of specific price movements. Being registered with the NFA is worth mentioning again. It’s very rare to find a broker that primarily offers services to European traders registered with this organization. However, the NFA doesn’t actually regulate BDSwiss since the broker doesn’t accept traders from the US. In addition, to this BDSwiss has made efforts to continue building trust with traders and actually became recognized and regulated by the FSA in 2016. Opening an account with BDSwiss allows you to trade both binary options as well as FX/CFDs. Rather than have two separate accounts; you can easily access binary options and FX/CFDs from a single account. That makes it easier to trade since you don’t need to keep logging in and out of your account to trade. The platform is built upon the SpotOption software (binary options) and the metatrader4 software for FX/CFD trading. The stability of these platforms makes it easy to make trades fast. Primarily targeting traders from Europe and Asia, the BDSwiss website is available in over 19 languages including English, Swiss, Hindi, Arabic, Korean, Malay, Thai and German. This makes it easily accessible from traders across Europe and other parts of the world. Customer support is one of the main features to look at before deciding whether to invest with a particular broker. BDSwiss has invested in a professional and multilingual customer support team ready to help solve trader’s problems. Their customer support staff is accessible via email, phone, Skype or live chat. If you fancy sending mail, they also provide a PO Box located in Germany. Their customer support isn’t restricted to solving problems you might encounter while using their platform. BDSwiss has also invested in learning materials and tools to enable you become a better trader. Traders looking to diversify their portfolio by investing in a variety of assets will find BDSwiss a good place to invest their money. Once you open an account, you’ll have access to over 230 tradable assets which include currency pairs, stocks, commodities and indices. They also offer a variety of trade types which give you more control over how long to hold a trade and potential profit you can make. These include one-touch, the classic high/low, ladders and turbo trading. Maximizing profitability of a trade has also been made possible through different unique features. For example, you’ll have access to the double-up feature which allows you to make twice the anticipated profit on a trade. It’s however worth noting that if there’s a potential to double your profits on a trade, there’s also the potential to incur twice the loss. So it’s always important that you only trade with an amount you’re willing to lose. Opening a trading account with BDSwiss is quite easy. Besides identification documents, all you need to do is deposit USD or EUR 100 into your account to start trading. You also have access to a forex demo account which makes it easy to practice trading using the platform. Although you don’t need to download anything, we didn’t like how much personal information you’re required to provide in order to use the forex demo account. The platform is generally well built with intuitive sections which are easy to figure out. It’s also accessible via mobile devices running on different operating systems. Bonuses are one way that unscrupulous binary options brokers lure unsuspecting traders into opening accounts and depositing money (although some legit brokers use this strategy too). Since BDSwiss is fully regulated by CySEC, they’re not permitted to announce any bonuses offered as a way of advertising their service. However, we contacted their customer support team to inquire whether they offer bonuses and were told that the broker regularly holds contests and promotions. Like many online binary options brokers, BDSwiss accepts different payment methods which include wire transfer, credit card and e-wallet. This makes it convenient to deposit and withdraw money from your account. Withdrawals might incur a fee in certain situations. For example, withdrawing less than $500 from your account will attract a $25 withdrawal fee. How much you can earn on a trade largely depends on the assets you’re buying and selling. For binary options, you can earn as much as 85% effective return on a successful trade. One touch trades can earn you up to 600% effective return. When trading FX/CFDs, BDSwiss will offer you leverage of up to X400 and pips as low as 1.2 to maximize on your profits. BDSwiss has been around since 2012. While conducting our research, we found that it hasn’t attracted any serious trader complaints. But we’ll keep an eye out for any complaints that might surface in the future. In 2015, BD Swiss was fined EUR 5000 by CySEC. The regulator explained that BD Swiss failed to comply with The Investment Services and Activities and Regulated Markets Law of 2007. In 2016, BD Swiss was fined an additional EUR 150000 by CySEC for violating the same law that resulted in them being fined the previous year. BD Swiss paid the fine in full. The BDSwiss website has undergone a much needed facelift to make it more accessible and user friendly. The fact that the platform is mobile friendly is something any trader will appreciate. The website contains well laid out sections that act as a guide through the platform. Traders can access binary options as well as FX/CFDs from a single account and there’s no separate deposit for each. The forex demo account and learning resources are also user friendly. The only downside is that you need to open an account (provide your details) to gain access. We also like the fact that the platform is available in 19 different languages. Any trader will appreciate a binary options broker that offers well over 200 different tradable assets. Once you have an account with BDSwiss, you can easily trade different asset types including indices, stocks, currency pairs and commodities. The platform also offers a handful of trade types which include one-touch, classic high/low, end of day and end of week among others. This gives you more control over how much you can earn on a trade and how much you can risk on single trades. BDSwiss also provides additional unique features such as rollovers and double-up which allow you to maximize profits or, minimize losses on single trades. The minimum accepted deposit amount s USD/EUR 100. This lies in the mid range and we consider this quite fair. BDSwiss accepts several payment methods including wire transfer, credit card and e-wallet. It’s worth noting that you’ll be required to provide identification documents before your account is active. You can withdraw your earnings through any of the aforementioned payment methods. Depending on the payment method you choose, withdrawn amounts might take up to 7 days to reach you. Withdrawals under $500 will also attract a $25 fee. personally I have very good expressions whit skrill. I recommend to use this Digital wallet, because of there very low transaction fees, and there Secure safety. Click the link to check it out ? We really like the fact that BDSwiss customer support is accessible through different channels including email, phone and live chat. The broker has also gone the extra mile to hire multilingual support staff which makes it even easier for traders from across the globe to have their problems resolved fast. Support also extends to how you can learn to trade using the platform. The broker has invested in a variety of webinars some of which allow you to watch successful traders making money. They simply made the app accessible for every device. So if you only have a Android or an iPhone, you can also download there smartphone/tablet application of BDSwiss, as well. And yeah, it covers all your assets. Being able to trade binary options and FX/CFDs from a single account is one feature we particularly like. However, BD Swiss seems to focus a lot on the CFDs. The different trade types, tools and features available also make it easy to maximize profits on winning trades and minimize losses of losing ones. Being registered with the FSA, CySEC and NFA are additional extras that make BD Swiss quite credible. Traders don’t need to worry about losing their investments if the broker winds up. Overall, despite being around for just over five years, BDSwiss has been able to achieve a lot more than many of its competitors. 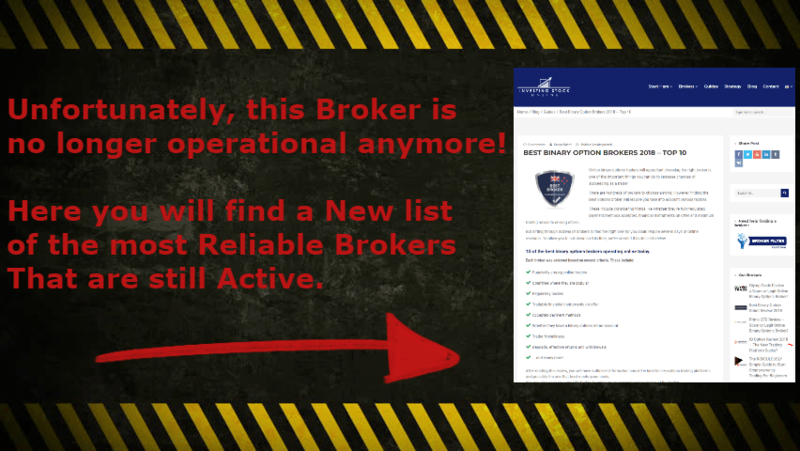 The broker has built their reputation on a foundation of trust and transparency. Being a fully regulated broker, CySEC assures traders that their money will not be lost simply because the business collapsed. The company’s focus is to help traders make money through buying and selling over 200 assets on the platform. Its easily accessible website is easy to navigate and includes numerous tools which can make your trading life easier. It does lack some common features such as bonuses but make up for this by regularly holding contests and promotions to enable traders earn more. If you’re looking for an online options broker with FX/CFD trading, BD Swiss is worth considering. So if you have more interest in the BDSwiss binary options Broker, you can go to the link down below. It will take you to the official website, so you can sign up and check them out yourself. It is very easy to sell and buy binary options and CFD from my one account In BD Swiss. I don’t have to change my account to trade again and again. The Interface system is so easy to interact. But I have lost some money in Double-up feature. May be it was because of my bad luck. The customer support is very friendly and the website is easily accessible. Overall this broker is the best broker for me. The Most Reliable Broker award given to BDSwiss in 2015 cleared my doubts and I had to opt for this broker. Actually, I wasn’t experienced with the binary trading but BDSwiss took me through and I can now trade near-perfectly. The last time I needed to contact the customer support, I had live chat with an agent that could speak my language. In fact, this is one stop destination for any binary trader. One wouldnt really think much of this, all I really wanted to do was invest and be part of it but the way I was lied by this brokers was terrible, to easily take money from all in the name of investment and when I wanted to make withdrawals every single attempt was fruitless with constant hassle to invest more I really cant say more than I have already said. I would really consider myself to be one of the very few lucky ones as I was able to have my funds recovered from this scam Binary option brokers, although it was through unethical means as far I am concerned but what can I care after how my hard-earned funds where taken from me, these guys are the best in less than 7days all my funds including bonuses had been recovered, If your broker lost your funds trading Binary options Geminihacks.com are more than able to get your funds back without any traces best of luck people. Things have been really tough for me, investing and losing money trading binary options. I lost over 50k EUR. And have been able to have all my funds back thanks to a recovery guru. You can reach me via email to relate.